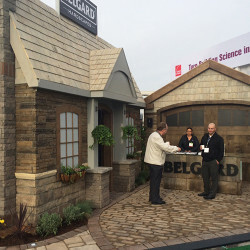 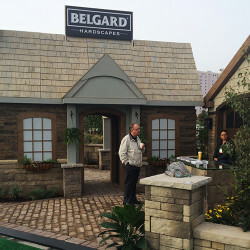 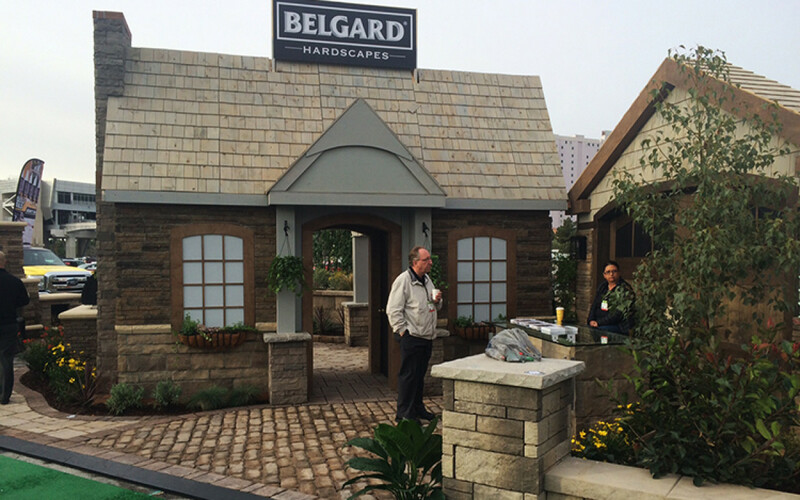 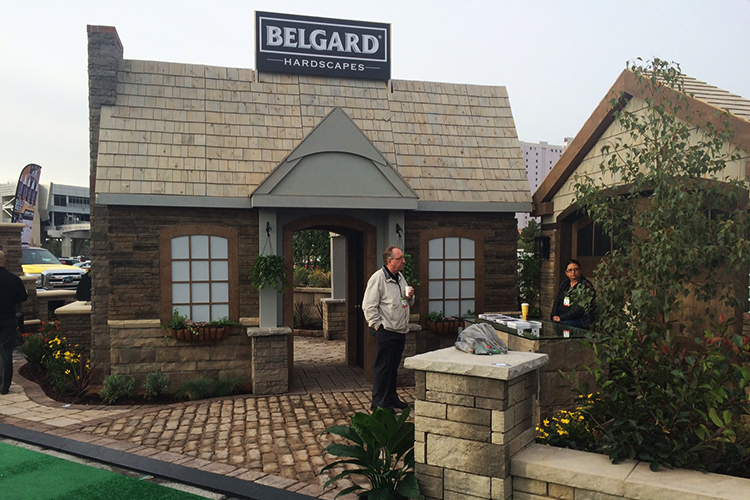 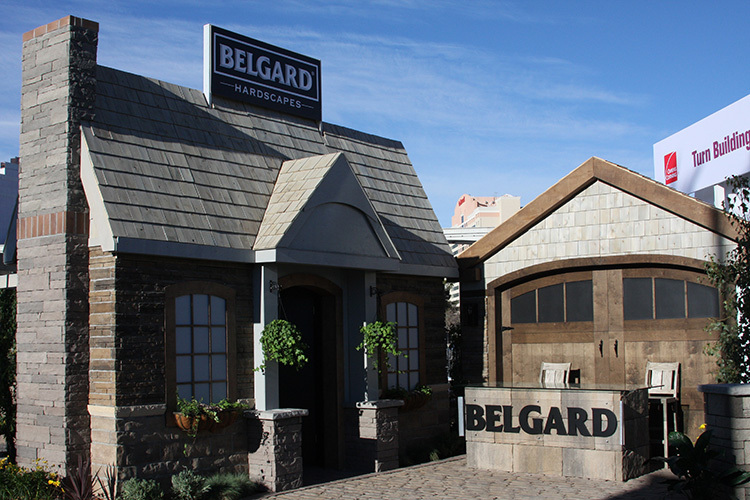 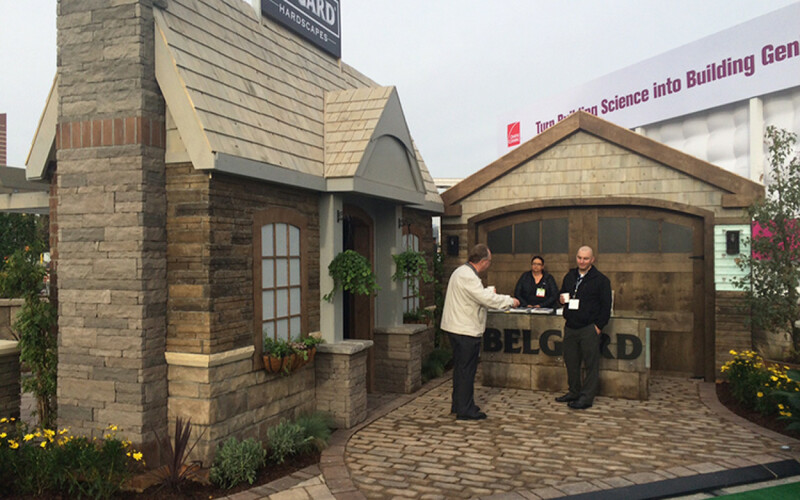 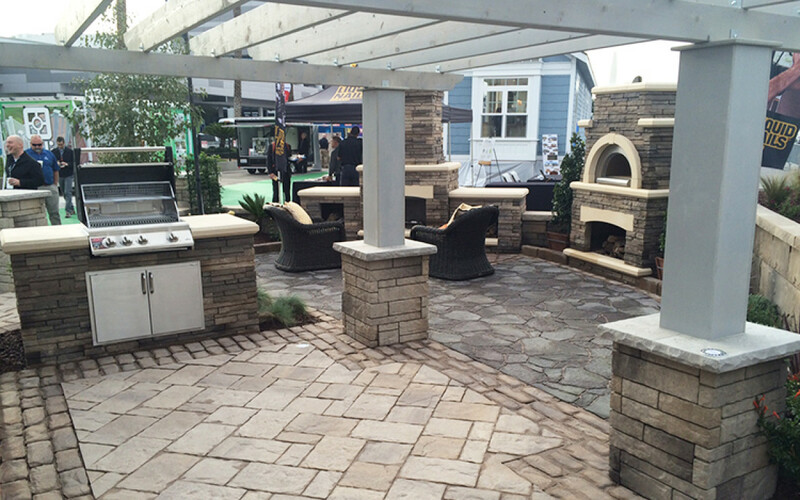 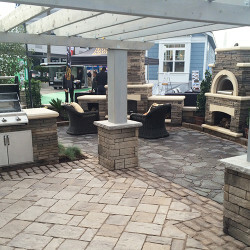 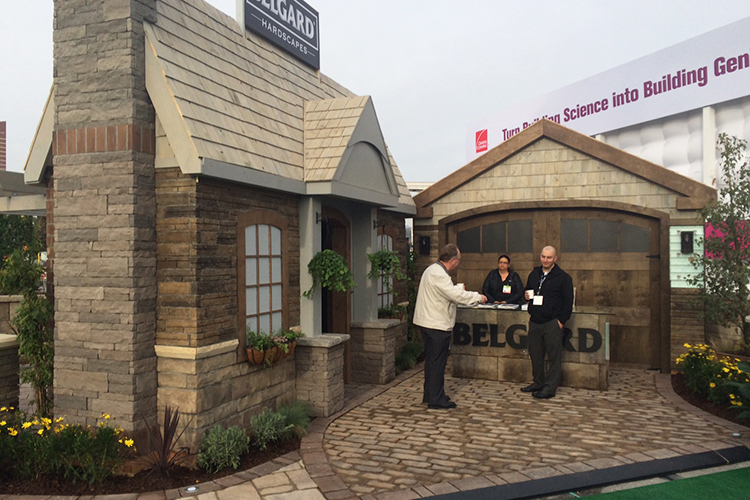 Oldcastle’s scale display house, garage and backyard set up outdoors. 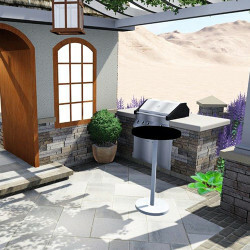 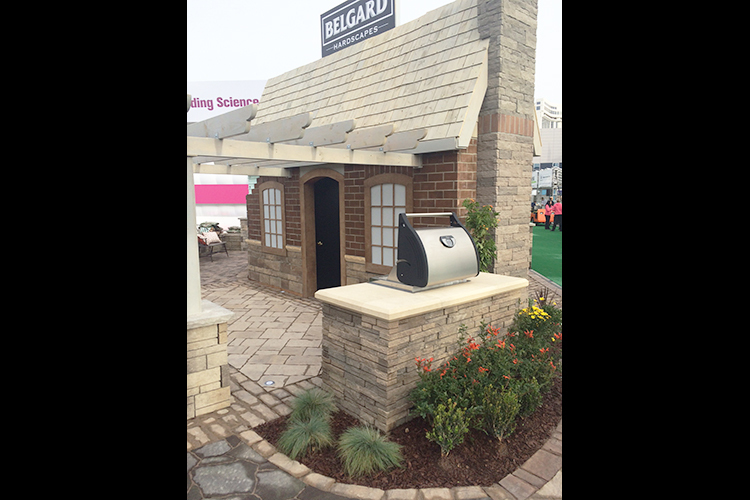 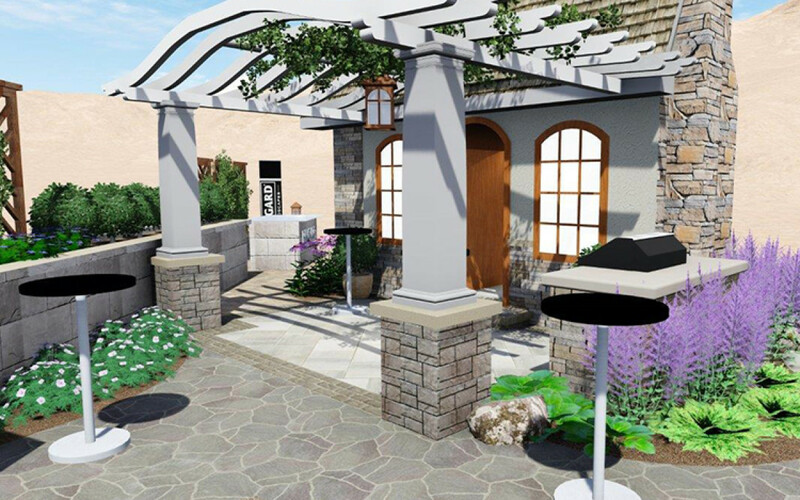 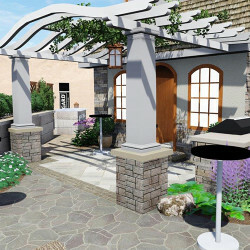 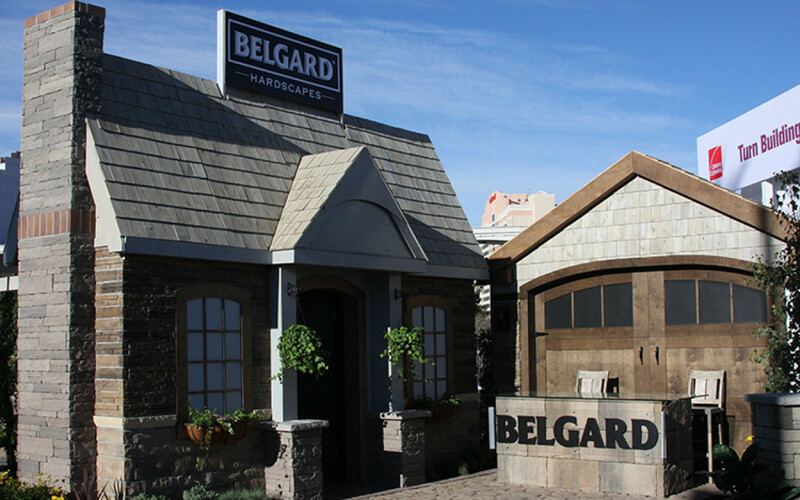 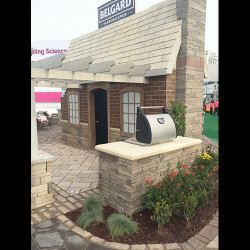 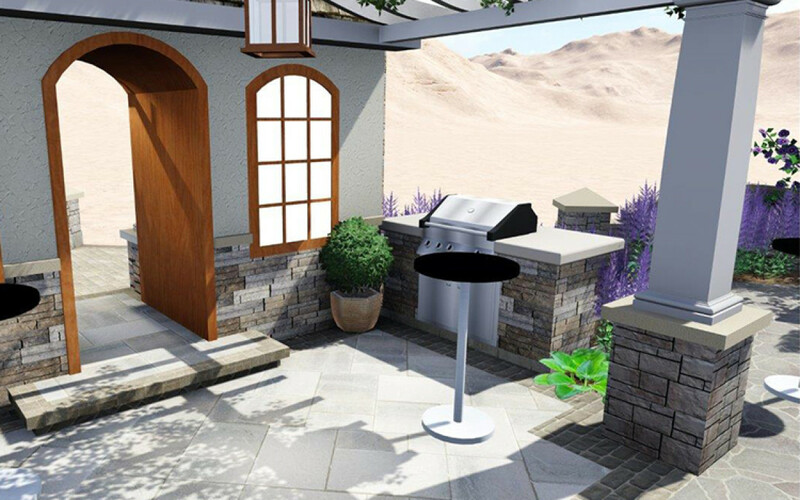 Includes full masonry veneer exterior, full line veneer product display, outdoor backyard kitchen, wood pergola and custom information counter. 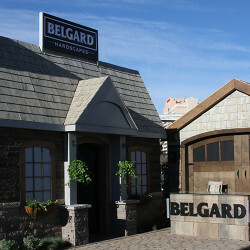 Fully crated for shipping and storage.